A very good friend of mine recently gave birth to a baby girl Connie. I’d bought them some clothing but wanted something a bit more special that would last more than a few weeks – wow babies grow fast! 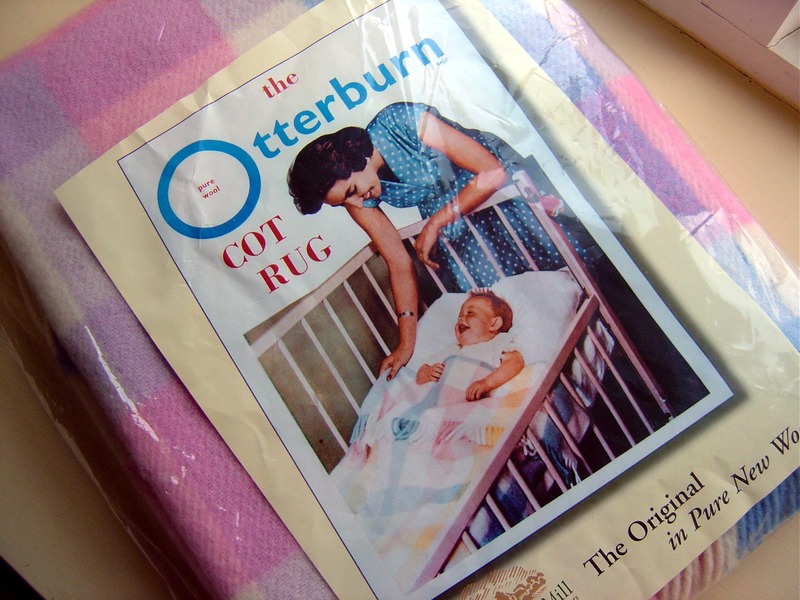 My mother-in-law suggested an Otterburn rug – I don’t want to buy her a rug I thought, I have no idea what her colour scheme is and a rug seems a bit of a strange gift to gift someone….only in fact an Otterburn rug is not a rug for the floor but a beautiful rug for a pram or a cot. I ordered on-line and it arrived the next day (now that’s good service). It’s absoloutely stunning, I just want to snuggle into it! I’m hoping I’ll be the proud owner of one when our baby comes along….hint, hint. Don’t you just love the original imagery on the packaging?!?!? I’ve just come back from visiting them for the first time. It was so great to see them all and Connie was on her best behaviour – she slept on my chest for ages like a perfect little angel!